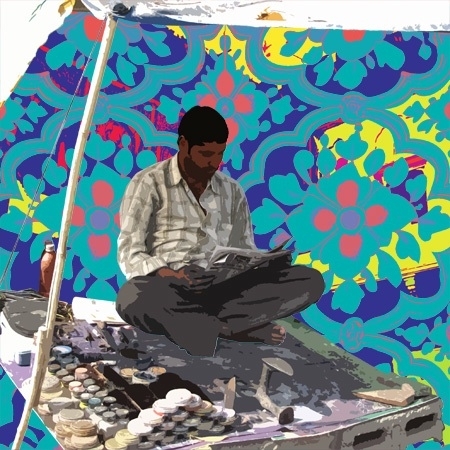 Sohan Jakhar, an enthusiastic young artist, is representative of the true Indian spirit of globalization.He was born in Sikar (1978), Rajasthan and now works in Jaipur and Mumbai. 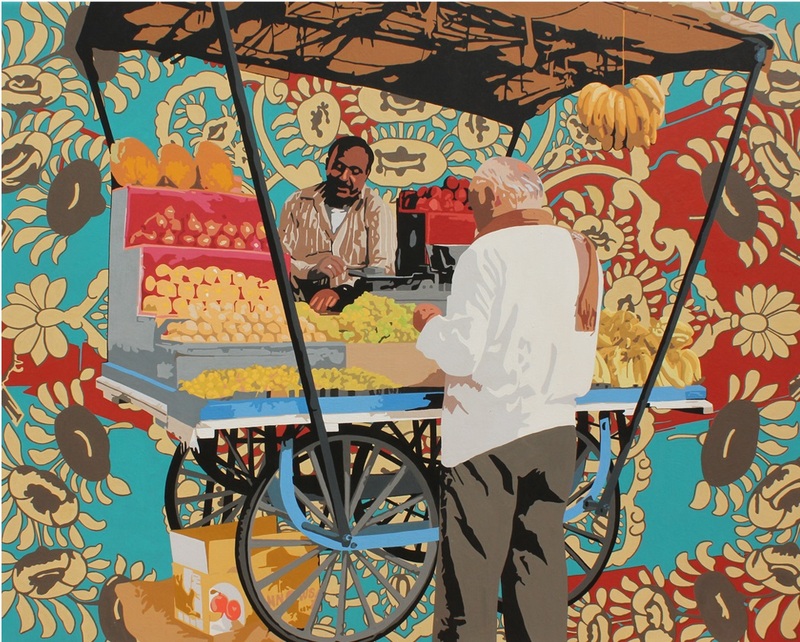 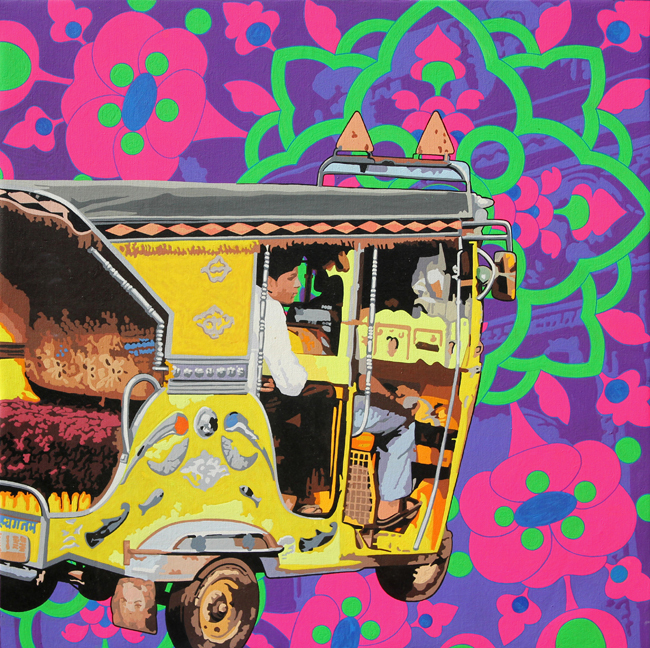 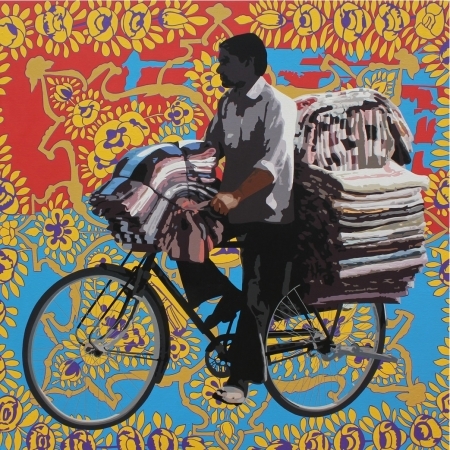 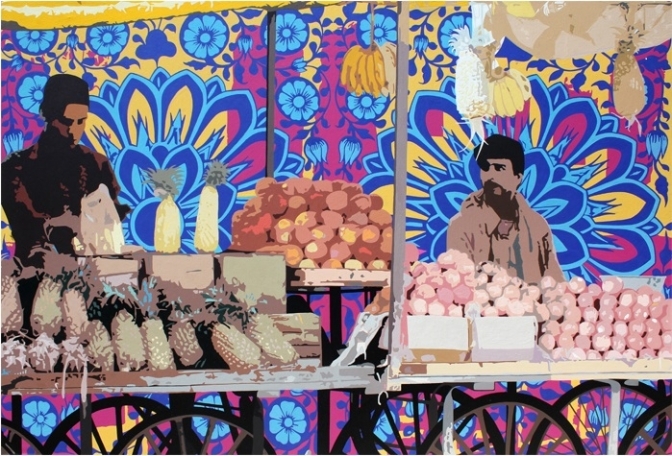 Sohan has had four solo shows along with many group shows including with Rob Dean Art, in London. 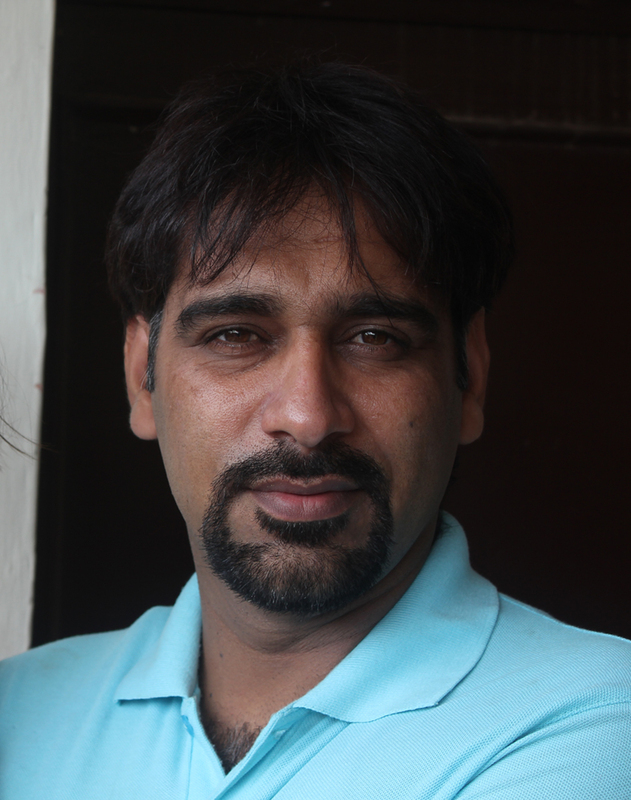 He has received many awards from Rajasthan Lalit Kala Akademi and other renowned art trusts. 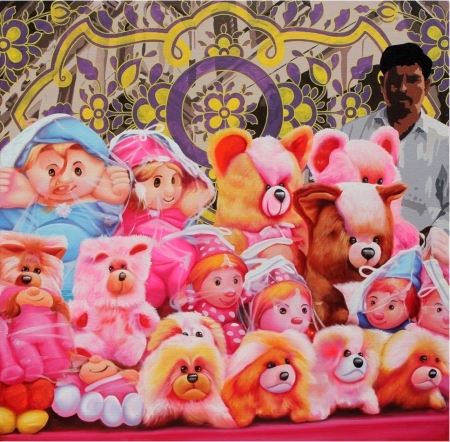 His work has been nominated for Sotheby's and other reputable auction houses. Sohan uses his skill to address his personal relationship with cities as well as with his ancestry. The decorative motifs in the background are inspired from the painted frescos on havelis (mansions) of Sekhawat, where he has spent his childhood. 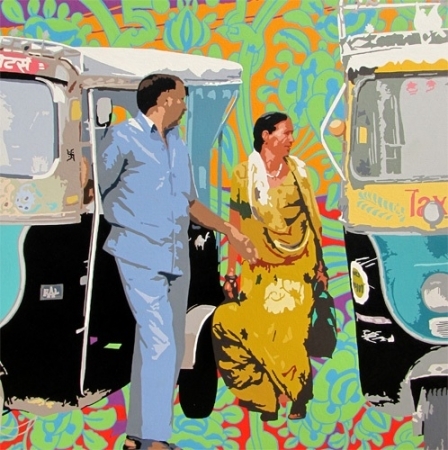 The incorporated images are photographs, which are later digitally modified and painted on the canvas.